Dumfries Cricket Club start their outdoor practices at JMS Nunholm with a training session for the first team squad this Saturday, the 1st of March, at 1pm. Last season the side, APD Dumfries, had a late season run to take them to the edge of the promotion places in Division 2 of the Lloyds TSB Scotland National League and finish in a good fourth place position. This season, new skipper, Aussie Scott Beveridge is out to bring his country’s winning ways to the campaign and for the club to remain as contenders for promotion as they have managed over their first two years at national level. The practice sessions will continue each Saturday until the first pre-season friendly which is away at Carlisle on the 12th of April. There might be a little bit of pride to play for in that game since a very young Dumfries side snuck over the border to win the Carlisle Cricket Sixes at the end of last season. The club will be starting midweek training as soon as the light and weather permits. The senior practice sessions take place on Tuesday and Friday evenings. The club are always keen to see new players, junior or senior, and they are welcome to come down and make themselves known at these sessions at the Nunholm ground. 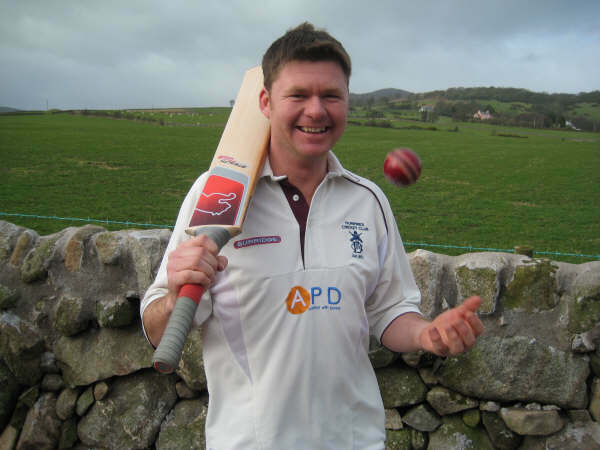 Further club details can be found at http://www.dumfriescricketclub.co.uk or by contacting Trefor Williams on 01387 256455. Dumfries Sports Club, of which the cricket club is one part along with squash, tennis, hockey running and gym sections, are also starting their membership week this weekend. Information is available at http://www.dumfriessportsclub.co.uk or at the Sports Club on 01387 252527.